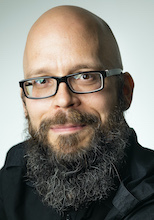 Jouni Tuominen is a coordinating researcher at Helsinki Centre for Digital Humanities (HELDIG), University of Helsinki, and a researcher at Department of Computer Science, Aalto University. He received his D.Sc. (Tech.) at Aalto University in 2017, with a dissertation titled "Ontology Services for Knowledge Organization Systems". He received his M.Sc. at University of Helsinki in 2010. His research interests include ontology repositories and services, linked data publishing methods, ontology models for legacy data, and tooling for digital humanities. He has published over 70 research articles since 2007, and has received several national and international awards. He has acted in programme committees of international conferences and workshops, and as a reviewer in scientific journals. He has collaborated with museums, libraries, and archives on their collection cataloging and cultural heritage data publishing processes since 2007. This paper introduces AMMO Ontology of Finnish Historical Occupations. AMMO is based on thousands of occupation labels extracted from three Finnish military historical datasets of the early 20th century: the first consists of the ca. 40 000 war-related death records around the time of the Finnish Civil War (1914–1922); the second consists of the ca. 95 000 death records of Finnish soldiers in the Winter War and Continuation War (1939–1944); the third contains the ca. 4500 records of Finnish prisoners of war in the Soviet Union during the WW2. Our goal from a Digital Humanities perspective is to use AMMO to study military history and these datasets based on the occupation and social status of the soldiers. AMMO will also be used as a component for faceted search and semantic recommendation in two semantic portals for Finnish military history. AMMO is aligned with the international historical occupation classification HISCO and with a modern Finnish occupational classification for international and national interoperability. The ontology is published as Linked Open Data in an ontology service. This paper argues for making a paradigm shift in publishing and using biographical dictionaries on the web, based on Linked Data. Firstly, a biographical dictionary on the web should provide the end user with an enhanced reading experience of biographies by enriching them with data linking and reasoning. Secondly, the web publication should include not only biographies for humans to read but also versatile tooling for 1) biographical research of individual persons as well as for 2) prosopographical research on groups of people. To support these arguments, we present the designing principles and the implementation of the semantic portal ”BiographySampo – Finnish Life Stories on the Semantic Web” especially from the end user’s point of view. The system is based on a Linked Data service and knowledge graph extracted automatically from a collection of 13 100 textual biographies, written by 900 researchers. The texts are enriched with data linking to 16 external data sources and by harvesting external collection data from libraries, museums, and archives. The portal, consisting of seven different interlinked application perspectives, was released on September 27, 2018, for free public use for Digital Humanities researchers and the general public. Biographies make a promising application case of Linked Data: they can be used, e.g., as a basis for Digital Humanities research in prosopography and as a key data and linking resource in semantic Cultural Heritage (CH) portals. In both use cases, a semantic data model for harmonizing and interlinking heterogeneous data from different sources is needed. This paper presents such a data model, Bio CRM, with the following key ideas: 1) The model is a domain specific extension of CIDOC CRM, making it applicable to not only biographical data but to other CH data, too. 2) The model makes a distinction between enduring unary roles of actors, their enduring binary relationships, and perduing events, where the participants can take different roles modeled as a role concept hierarchy. 3) The model can be used as a basis for semantic data validation and enrichment by reasoning. 4) The enriched data conforming to Bio CRM is targeted to be used by SPARQL queries in a flexible ways using a hierarchy of roles in which participants can be involved in events. This paper shows how faceted search on biographical data can be utilized as a flexible basis for filtering target groups of people and, in particular, how generic data analysis and visualization tools can then be applied for solving prosopographical research questions based on the filtered data. This idea is demonstrated and evaluated in practice by presenting two application case studies: 1) linked data extracted from a printed registry of over 10 000 alumni (1867–1992) of the prominent Finnish high school Norssi, and 2) a knowledge graph extracted from 13 000 short biographies of significant Finnish people (from 3rd century to present times) in the National Biography of Finland. In both cases, the data is enriched by linking their entities with several other external datasets. Biografiasampo-järjestelmä käynnistää uuden aikakauden elämäkertakokoelmien julkaisemisessa ja käyttämisessä verkossa. Järjestelmän ydinaineistona on Kansallisbiografia ja muut Suomalaisen Kirjallisuuden Seuran (SKS) ja tieteellisten seurojen toimittamat pienoiselämäkerrat, yhteensä 13 100 elämäntarinaa, joita on kirjoittanut 900 suomalaista tutkijaa. Biografiasammon innovaationa on luoda kieliteknologian, tekoälyn ja semanttisen webin teknologioiden avulla elämäkertojen teksteistä ja niihin eri lähteissä liittyvistä tiedoista tietämysverkko (knowledge graph) ja kansallinen tietoinfrastruktuuri, joka koostuu miljoonista tietojen välisistä yhteyksistä. Tietämysverkko on julkaistu linkitetyn datan palvelussa, jonka varaan on toteutettu seitsemästä sovellusnäkymästä koostuva älykäs, kaikille avoin ja maksuton verkkopalvelu biografiasampo.fi kansalaisten ja digitaalisten ihmistieteiden tutkijoiden käytettäväksi. This paper presents a series of projects where one of the main sources for toponomastic research in Finland, the corpora of place names in the Names Archive database of the Institute for the Languages of Finland, was digitized and how the resulting database was converted, enriched and published as Linked Open Data using a data processing pipeline. Utilizing the Linked Data infrastructure and various external data sources, a modern full-stack web application, NameSampo, was created in collaboration between toponomastic researchers and computer scientists for searching, analyzing, and visualizing digital toponomastic data sources. This paper presents the vision of publishing and utilizing textual biographies as Linked (Open) Data on the Semantic Web. As a case study, we publish the live stories of the National Biography of Finland, created by the Finnish Literature Society, as semantic, i.e., machine “understandable” metadata in a SPARQL endpoint using the Linked Data Finland (LDF.fi) service. On top of the data service various Digital Humanities applications are built. The applications include searching and studying individual personal histories as well as historical research of groups of persons using methods of prosopography. The biographical data is enriched by extracting events from unstructured and semi-structured texts, and by linking entities internally and to external data sources. A faceted semantic search engine is provided for filtering groups of people from the data for prosopographical research. An extension of the event-based CIDOC CRM ontology is used as the underlying data model, where lives are seen as chains of interlinked events populated from the data of the biographies and additional data sources, such as museum collections, library databases, and archives. Between 1500 and 1800, a revolution in postal communication allowed ordinary men and women to scatter letters across and beyond Europe. This exchange helped knit together what contemporaries called the respublica litteraria, Republic of Letters, a knowledge-based civil society, crucial to that era’s intellectual breakthroughs, and formative of many modern European values and institutions. To enable effective Digital Humanities research on the epistolary data distributed in different countries and collections, metadata about the letters have been aggregated, harmonised, and provided for the research community through the Early Modern Letters Online (EMLO) service. This paper discusses the idea and benefits of using Linked Data as a basis for the next digital framework of EMLO, and presents experiences of a first demonstrational implementation of such a system. War history of the Second World War (WW2), humankind’s largest disaster, is of great interest to both laymen and researchers. Most of us have ancestors and relatives who participated in the war, and in the worst case got killed. Researchers are eager to find out what actually happened then, and even more importantly why, so that future wars could perhaps be prevented. The darkest data of war history are casualty records—from such data we could perhaps learn most about the war. This paper presents a model and system for representing death records as linked data, so that 1) citizens could find out more easily what happened to their relatives during WW2 and 2) digital humanities (DH) researchers could (re)use the data easily for research. This paper presents a model for representing historical military personnel and army units, based on large datasets about World War II in Finland. The model is in use in WarSampo data service and semantic portal, which has had tens of thousands of distinct visitors. A key challenge is how to represent ontological changes, since the ranks and units of military personnel, as well as the names and structures of army units change rapidly in wars. This leads to serious problems in both search as well as data linking due to ambiguity and homonymy of names. In our solution, actors are represented in terms of the events they participated in, which facilitates disambiguation of personnel and units in different spatio-temporal contexts. The linked data in the WarSampo Linked Open Data cloud and service has ca. 9 million triples, including actor datasets of ca. 100 000 soldiers and ca. 16 100 army units. To test the model in practice, an application for semantic search and recommending based on data linking was created, where the spatio-temporal life stories of individual soldiers can be reassembled dynamically by linking data from different datasets. An evaluation is presented showing promising results in terms of linking precision. This paper describes the ontology model and published datasets of a digitized biographical person register. The applied ontology model is designed to represent people via their enduring roles and perduring lifetime events. The model is designed to support 1) prosopographical Digital Humanities research, 2) linking to resources in semantic Cultural Heritage portals, and 3) semantic data validation and enrichment by using SPARQL queries. The linked data approach enables to enrich a person s biography by interlinking it with space and time related biographical events, persons relating by social contacts or family relations, historical events, and personal achievements. The article overviews the system WarSampo – Finnish World War 2 on the Semantic Web, the winner of the LODLAM Challenge 2017 Open Data Prize on June 29 in Venice, Italy. This paper presents the idea to enrich printed biographical person registers with linked data related to events that took place after the register was published. By transforming printed historical documents into structured data, semantic search to written texts can be provided for the reader. Even more importantly, life stories of historical persons can be extended based on data linking by extracting semantic structures from printed texts, and by combining this data with external datasets and data services. Such linking provides an enriched context for prosopographical research on people in the register, as well as an enhanced reading experience for anyone interested in reading the biographies. As a concrete case study, a register 1867–1992 of over 10 000 alumni of the prominent Finnish high school “Norssi” was transformed into RDF, was enriched by data linking, was published as a linked data service, and is provided to end users via a faceted search engine and browser for studying lives of historical persons and for prosopographical research. This paper presents an automatic annotation tool AATOS for providing documents with semantic annotations. The tool links entities found from the texts to ontologies defined by the user. The application is highly configurable and can be used with different natural language Finnish texts. The application was developed as a part of WarSampo and Semantic Finlex projects and tested using Kansa Taisteli magazine articles and consolidated Finnish legislation of Semantic Finlex. The quality of the automatic annotation was evaluated by measuring precision and recall against existing manual annotations. The results showed that the quality of the input text, as well as the selection and configuration of the ontologies impacted the results. This paper discusses the challenges of applying named entity linking in a rich, complex domain – specifically, the linking of 1) military units, 2) places and 3) people in the context of rich Second World War data. Multiple sub-scenarios are discussed in detail through concrete evaluations, analyzing the problems faced, and the solutions developed. A key contribution of this work is to highlight the heterogeneity of problems and approaches needed even inside a single domain, depending on both the source data as well as the target authority. Data about wars is typically heterogeneous, distributed in the data silos of the fighting parties, multilingual, and often controversial depending on the political point of view. It is therefore hard for the historians to get a global picture of what has actually happened, to whom, where, when, and how. We argue that Semantic Web and Linked Data technologies are a very promising approach for modeling, harmonizing, and aggregating data about war history. Our goal is to make it possible, for both historians and laymen, to study history in a contextualized way where linked datasets enrich each other. The paper presents the in-use WarSampo 1 system, where massive collections of heterogeneous data about the (Finnish) history of the Second World War are harmonized using an event-based approach, and provided as a Linked Open Data service for applications to use. As a use case, a semantic portal WarSampo providing six different perspectives to the war based on events is presented. War history of the Second World War (WW2), humankind s largest disaster, is of great interest to both laymen and researchers. Most of us have ancestors and relatives who participated in the war, and in the worst case got killed. Researchers are eager to find out what actually happened then, and even more importantly why, so that future wars could perhaps be prevented. The darkest data of war history are casualty records---from such data we could perhaps learn most about the war. This paper presents a model and system for representing death records as linked data, so that 1) citizens could find out more easily what happened to their relatives during WW2 and 2) digital humanities (DH) researchers could (re)use the data easily for research. This paper presents the WarSampo system for publishing collections of heterogeneous, distributed data about the Second World War on the Semantic Web. WarSampo is based on harmonizing massive datasets using event-based modeling, which makes it possible to enrich datasets semantically with each others’ contents. WarSampo has two components: First, a Linked Open Data (LOD) service WarSampo Data for Digital Humanities (DH) research and for creating applications related to war history. Second, a semanticWarSampo Portal has been created to test and demonstrate the usability of the data service. The WarSampo Portal allows both historians and laymen to study war history and destinies of their family members in the war from different interlinked perspectives. Published in November 2015, theWarSampo Portal had some 20,000 distinct visitors during the first three days, showing that the public has a great interest in this kind of applications. This paper presents a new Linked Open Data brokering service model HIPLA for using and maintaining historical place gazetteers and maps based on distributed SPARQL endpoints. The model introduces several novelties: First, the service facilitates collaborative maintenance of geo-ontologies and maps in real time as a side effect of annotating contents in legacy cataloging systems. The idea is to support a collaborative ecosystem of curators that creates and maintains data about historical places and maps in a sustainable way. Second, in order to foster understanding of historical places, the places can be provided on both modern and historical maps, and with additional contextual Linked Data attached. Third, since data about historical places is typically maintained by different authorities and in different countries, the service can be used and extended in a federated fashion, by including new distributed SPARQL endpoints (or other web services with a suitable API) into the system. To test and demonstrate the model, we created the first prototype implementation Hipla.fi of the HIPLA model. Hipla.fi is based on four Finnish datasets in SPARQL endpoints totaling some 840,000 geocoded places on 450 historical maps from two atlas series aligned on modern maps, and on the Getty Thesaurus of Geographic Names (TGN) SPARQL endpoint in the US. As a first application, a part of the Hipla.fi data service has been applied in creating a 5 million triple semantic portal of historical Second World War data with tens of thousands of end users. This paper initiates and fosters work on publishing Linked Open Data about the Second World War. It is argued that the heterogeneous, distributed data about the international world war history makes a promising use case for semantic technologies. We hope that by making war data openly available we can learn from the past and promote peace. This paper introduces the idea of applying crowdsourcing to evolving ontology services; the goal is to facilitate collaborative maintenance of ontologies in real time as a side effect of annotating contents in legacy cataloging systems. The idea is being implemented in the use case of creating and managing a national level gazetteer of historical places in Finland. The idea of Linked Data is to aggregate, harmonize, integrate, enrich, and publish data for re-use on the Web in a cost-efficient way using Semantic Web technologies. We concern two major hindrances for re-using Linked Data: It is often difficult for a re-user to 1) understand the characteristics of the dataset and 2) evaluate the quality the data for the intended purpose. This paper introduces the “Linked Data Finland” platform LDF.fi addressing these issues. We extend the famous 5-star model of Tim Berners-Lee, with the sixth star for providing the dataset with a schema that explains the dataset, and the seventh star for validating the data against the schema. LDF.fi also automates data publishing and provides data curation tools. The first prototype of the platform is available on the web as a service, hosting tens of datasets and supporting several applications. The idea of opening data on the Web as Linked Data (LD) is widely adopted in areas such as public government, science, libraries, and cultural heritage. The key idea is to harmonize, integrate, enrich, and re-use existing data repositories in a cost-efficient way via standard APIs in novel applications. This paper concerns two major hindrances for re-using LD: It is often difficult for a re-user to understand the 1) characteristics of the dataset and 2) evaluate the quality of the data for her intended purpose. This paper introduces the “Linked Data Finland” publishing platform LDF.fi addressing these issues. In order to enhance and promote reusability, we propose extending the famous 5-star model of Tim Berners-Lee into a 7-star model: The sixth star requires that the dataset is defined and explained in terms of explicit schemas. Explicit schemas make it possible to explain the re-user the intended characteristics of the data by, e.g., documentation about the schemas, and how the schemas (vocabularies) are actually used in the given dataset. The seventh star is given, if the data has also been validated w.r.t. the schema specifications. The results of the validation may be a human readable document and/or a machine readable reprentation regarding the quality issues found in the data. This paper reports about work in progress, but the first prototype of the platform is already operational on the web as a service http://ldf.fi.